The title track "High Desert" begins with a sparse and haunting vocal that builds to a rousing crescendo. The biggest surprise on the album is a heartfelt cover of Robert Hunter's "Must Have Been The Roses." Paul Knowles offers an award-worthy vocal performance that is perfectly complimented by Nicole Storto's beautiful vocal tone and the musicians' expert instrumentation. A cover of the Rolling Stones' "Sweet Virginia" is also a winner. However, the best song on the album is saved for last. "What's Wrong With My World?" explores the depths of human emotion and leaves the listener with a powerful question to ponder. Likewise, the best pure country song is the bluegrass meets Texas country "Made Off Blues." 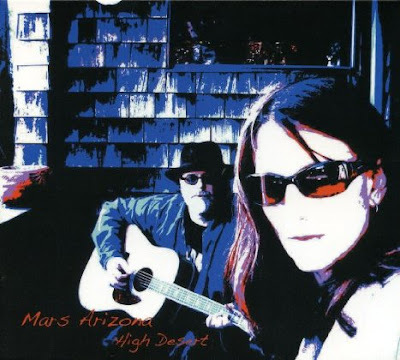 This cut proves that Mars Arizona could make a tremendously successful pure country album. The folk and country flavored "Alabama Bound" also deserves special mention for its memorable melody.